MBCY’s RYT 200 Yoga Teacher Training in durham is immerse in the sophisticated confluence of cutting edge master teachings fom the arts and sciences of Hatha / Raja yoga, meditation psycho-somatic neurology, energy medicine and spiritual sutra study for the modern world. MBCYTT is about self development to experience the path of your fullest potential. Immerse yourself in the sophisticated confluence of cutting edge master teachings from the arts and sciences of Hatha / Raja yoga, meditation psycho-somatic neurology, energy medicine and spiritual sutra study for the modern world. Join the ranks of hundreds of MBCY graduates who are effectively changing the world by attending one of the first Yoga Alliance certified courses for training yoga teachers in trauma-sensitive techniques. MBCY is built from the wisdom of the mind creating the body and the body being a resource for healing. 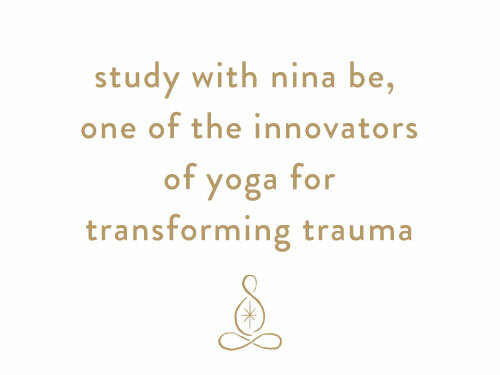 MBCY is one of the first trauma sensitive yoga techniques and encompasses researched curriculum that give yoga teachers expertise in supporting students where they are, with kindness and assurance of highly attuned skills.